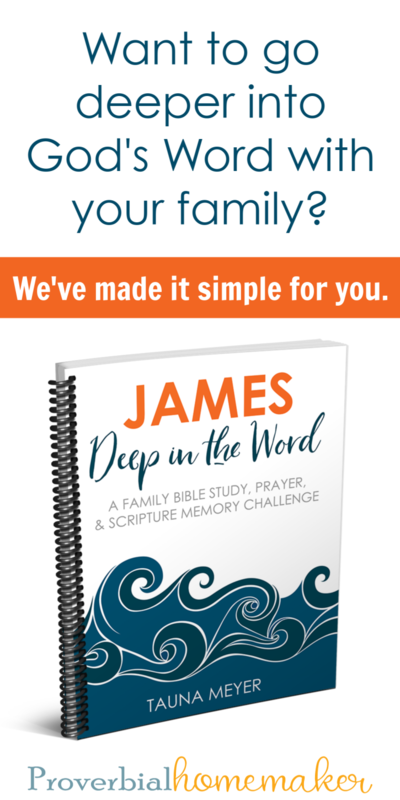 If digging deeper into God’s Word is part of your family’s goal this year then Proverbial Homemaker has you covered! Tauna will be offering a new element to this study every single month. Each time that element will available for free for an entire month. Click Here to Begin Your James Journey!